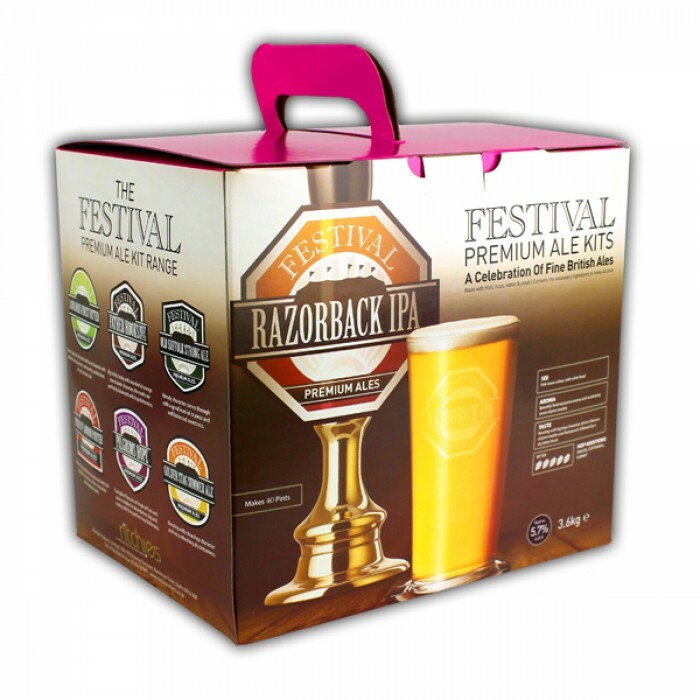 The Festival Razorback IPA beer kit is based on a well known pub beer, and contains both Simcoe, centinnel, and Summit hops. 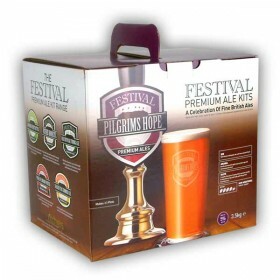 This beer kit ferments out at 5.7% abv to produce a wonderfull IPA with a pale straw colour and white head, complimented by a beautiful fresh nectarine aroma with an underlying tone of pine needles. 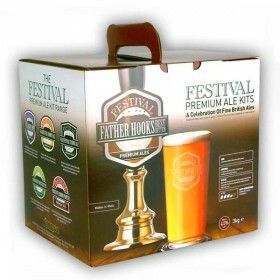 The box contains 2 sachets of malt, a yeast sachet, priming sugar, as well as a sachet of hops and hop straining bag. 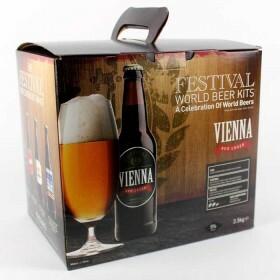 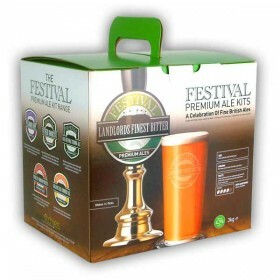 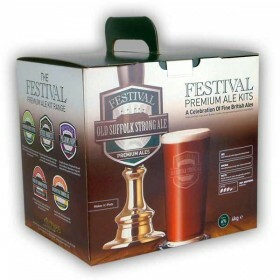 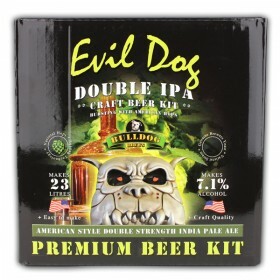 Festival beer kits are ready to drink in just 4 weeks and make 40 pints.